The Ras Az Zawr site comprises a plot of land 90km north of Jubail on the coast of the Arabian Gulf. Part of the site has been used for the construction of a new alumina refinery, aluminium smelter, rolling mill and related infrastructure for the aluminium complex. Bauxite ore transported by rail to Ras Az Zawr is refined to produce 1.8 million metric tons per year of alumina, which is in turn processed in the smelter on site to produce 740,000 metric tonnes per year of aluminium. 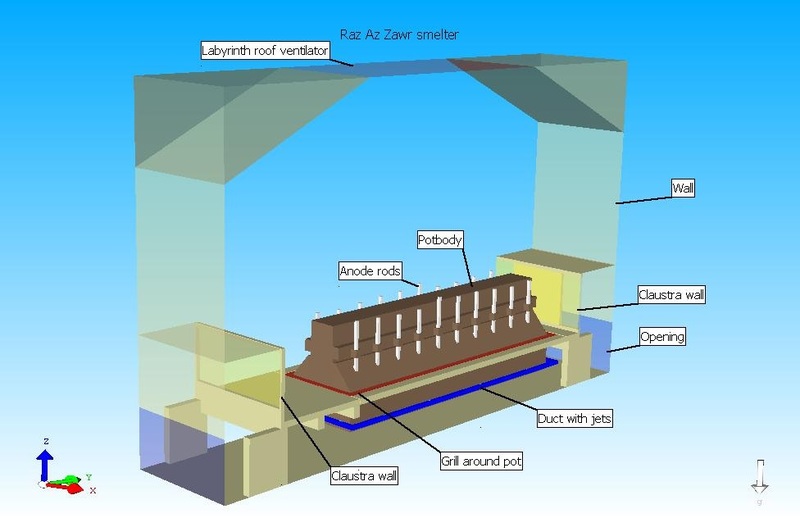 In order to predict in advance the climate conditions inside the potrooms while the metal is being produced, Colt carried out a survey using Computational Fluid Dynamics (CFD) to show the capability of the roof ventilators. 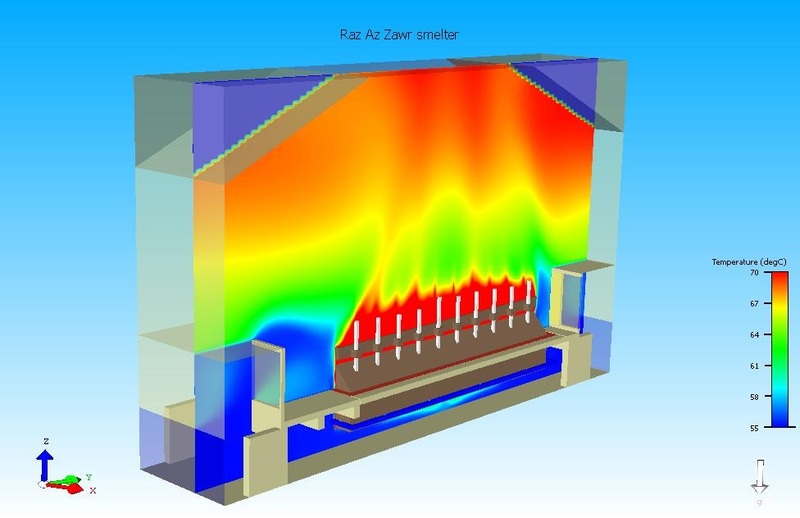 The CFD simulates flows, heat transfers and temperatures on different levels within the buildings. The smelter now benefits from maximum ventilation and the best price/quality performance ratio while achieving low temperatures on the operating floor, thus creating better working conditions for the employees. The location of the project means that temperatures can reach 55°C during summer, and all equipment has to cope with marine conditions and dust. Colt supplied Labyrinth natural ventilators made from high quality materials so as to be able to withstand these conditions. Large modules of the Labyrinth roof ventilator were assembled at ground level and lifted to the roof. The unique design of the modules made it possible to do all the fixing of the ventilators to the supporting steel structure from the outside. This ensured that no works are necessary inside the building and resulted in reduced erection time and minimal disruption to work within the building.